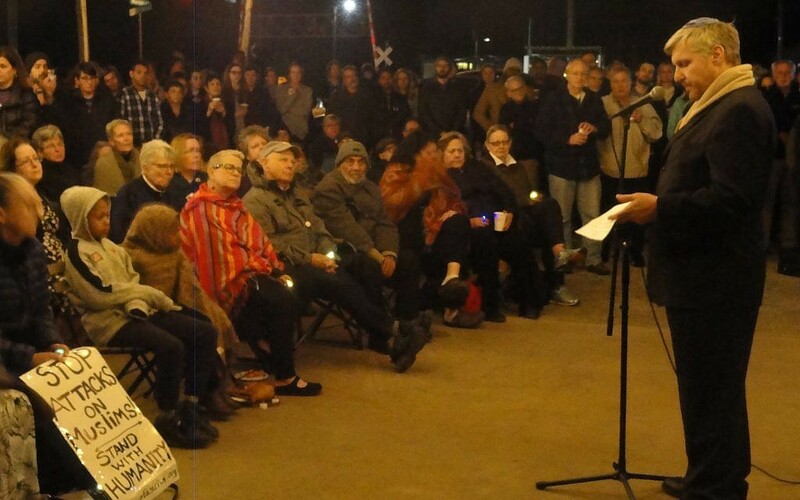 A March 21 vigil in Clarkston drew hundreds to honor the 50 lives lost in terrorist attacks at two mosques in New Zealand. 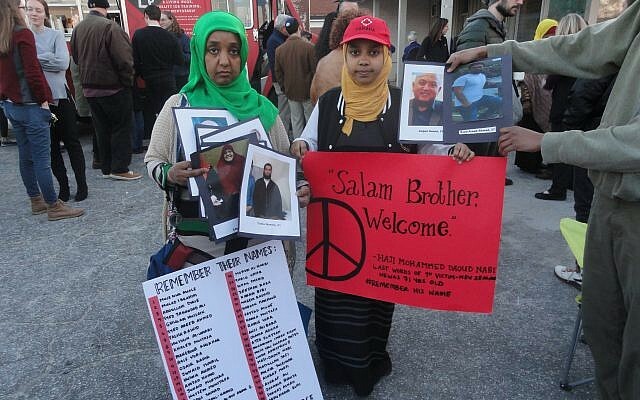 Muslim attendees with names and photos of Christchurch victims. 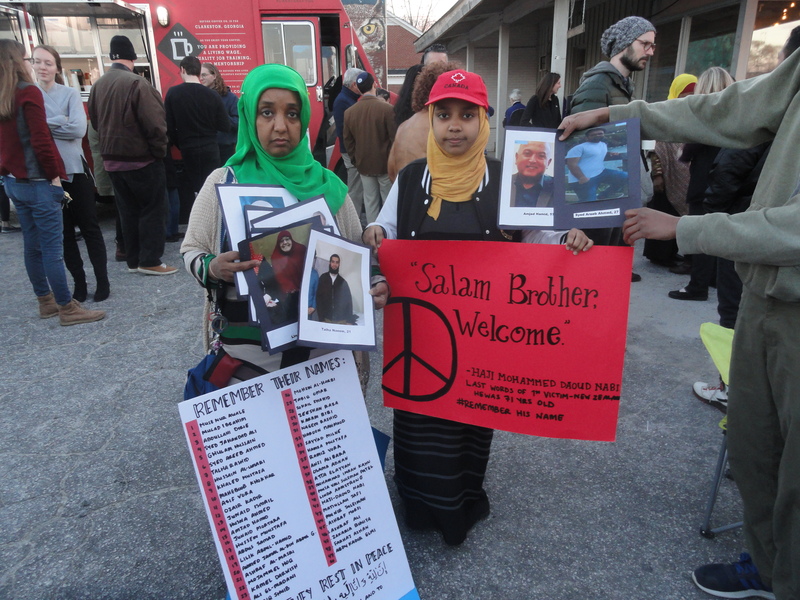 A vigil in Clarkston on March 21 drew hundreds to honor the 50 lives lost in terrorist attacks at two mosques in New Zealand. The event, held at Refuge Coffee, a nonprofit that provides refugees with job training and mentorship, was partly arranged by Rabbi Joshua Lesser of Congregation Bet Haverim. Rabbi Joshua Lesser, left, and Rabbi Laurence Rosenthal, right, with other speakers at the Clarkston vigil. 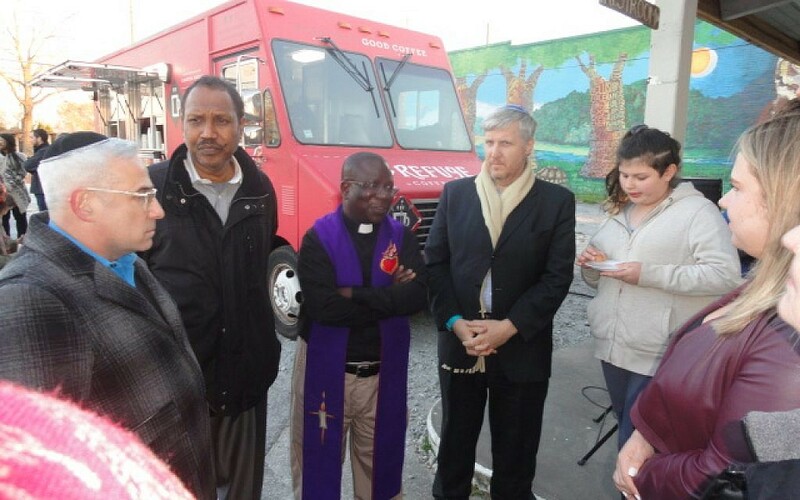 Rabbi Lesser described the Clarkston gathering as a chance for leaders and representatives from different faith communities around Atlanta to offer words of mourning, of healing, of unity, and of action. The attacks in Christchurch on March 15 targeted the Al Noor Mosque, where 43 people were killed, and the Linwood Mosque, where another seven died; many were also injured in both places. The country’s prime minister, Jacinda Ardern, who is banning the type of automatic weapon used in the massacres, has received praise for her handling of the crisis. Amina Osman wants to forgive. 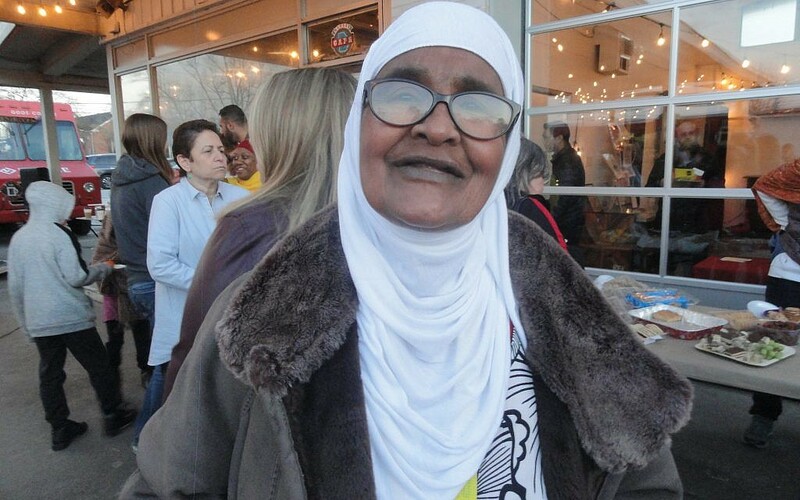 “She led with her heart and with love,” said Atlanta’s Honorary Consul for New Zealand Ian Latham, who came to the Clarkston vigil. A young mourner and her mother view photographs of the victims. 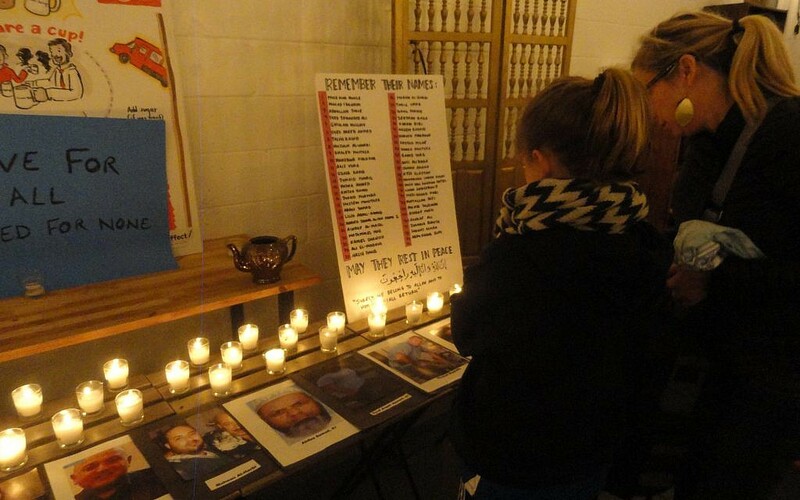 Asked if Jews elsewhere in Atlanta were honoring the Christchurch victims, Rabbi Lesser said, “A number of rabbis and leaders were at the 14th Street mosque (Al-Farooq Masjid) on Sunday.” There was also a vigil held March 19 at the Istanbul Cultural Center attended by members of Congregation Etz Chaim. Rabbi Rosenthal spoke at the March 21 vigil in Clarkston for the victims of a terrorist attack on New Zealand mosques.